Boo-hoo! Hydro is tricky just like his momma. Hiding eggs and making me all excited, then dropping the boom today. No new babies. I’ve officially given up on the other eggs at this point. Hydro was born a week ago. I cannot imagine a scenario where eggs that were incubated at the same time hatch that far apart from each other. Anyone with vast birding knowledge want to correct that thinking for me? My kids are getting pretty excited to see Hydro fly. 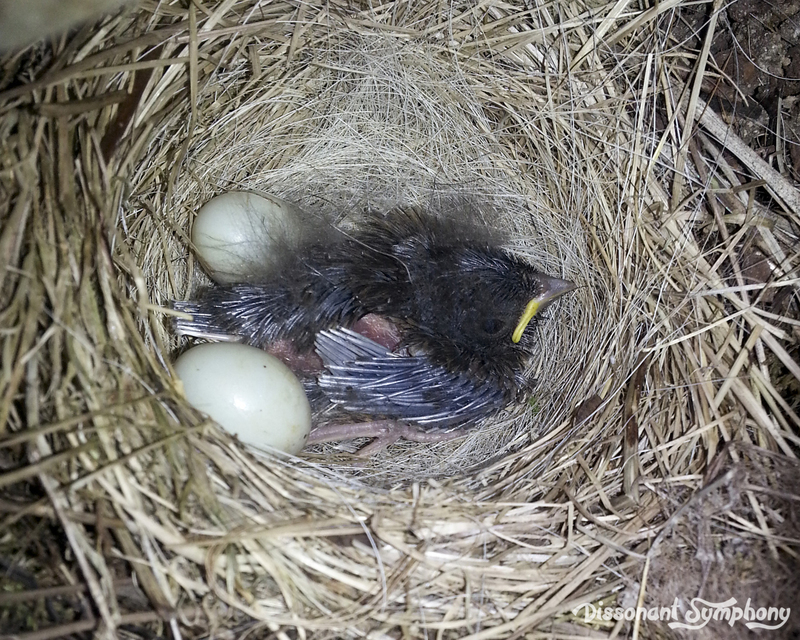 Dark-Eyed Junco babies are able to leave the nest between 9-13 days after hatching. So, in the next week we should have an inaugural flight!